For online tree consultancy and quotes. 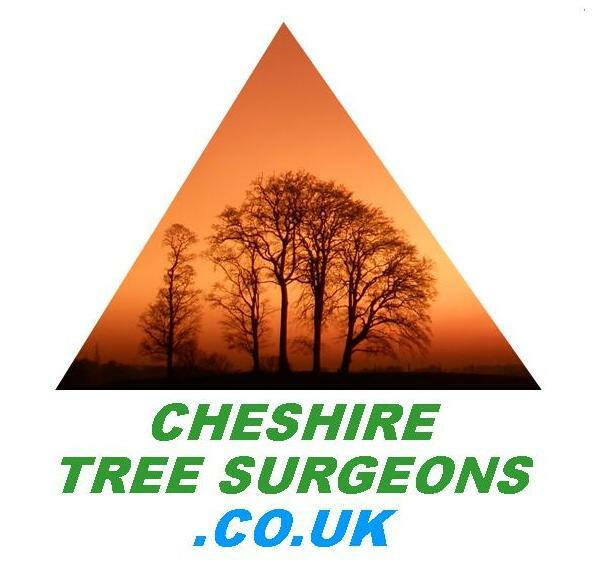 A resource website for the general public to use in order to find a suitable Tree Consultant. The International Society of Arboriculture (ISA) has serves the tree care industry as a scientific and educational organization. The International Society of Arboriculture (ISA), dedicated to UK and Ireland. 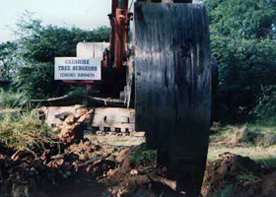 We were the first contractors anywhere to have the "Becker" stump cutter, (featured on Tomorrows World in April 1988 and TVS in August 1988). This is the TVS crew getting a 5 minute destruction of a 4 foot diameter Beech stump, on film (video is available). Using a large mechanical excavator and replacing the standard digging bucket, this tool literally takes tree stumps apart in a very short time. 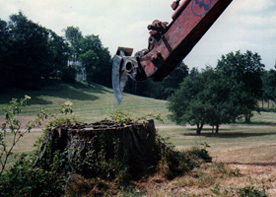 Where there are large numbers of tree stumps to destroy, and access for the equipment, it is the most cost effective way of removing them. Now we make this equipment available to hire to contractors throughout the British Isles so that they can undertake their own (or their client's) tree removal using this method. In certain circumstances there is a need to clean the ground of as much root material as possible (as is the case with Honey Fungus), in such circumstances the "Becker" cannot be beaten as it can sift the ground, lifting all of the lateral roots for removal and disposal. As a contractor, you should always aim to bring the most effective and efficient solutions to bear, on behalf of your client, before somebody else does!!! For details of hire rates and availability of either the Stump Breaker, "Becker" stump cutter or stump grinders please contact us.